It was a pleasure to be able to see this wonderful choir from Beijing, China. These 22 boys and girls range in age from 8-12 years old and were kicking off their Canadian Tour in Exeter at the Trivitt Memorial Anglican Church. 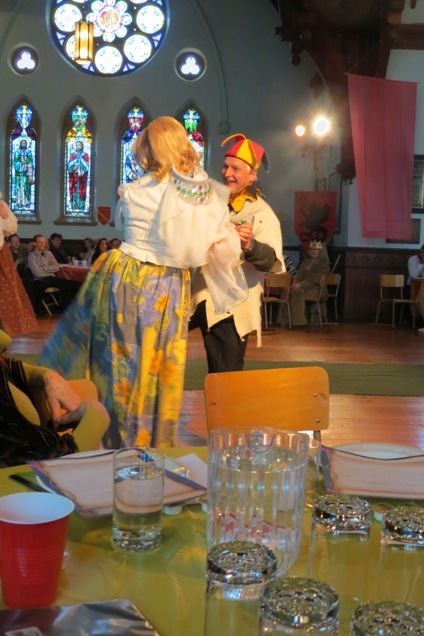 They were hosted by the Bach Music Festival of Canada. The room was full of talent that night. We were treated to a piano prelude by Marissa Li before the performance even began. The Angel Voice Choir was conducted by Chao Li who also had an amazing part himself with the choir singing solo during one of their pieces. The Choir performed some songs from Hayao Miyazaki who is a Japanese film director, as well as some religious songs. One of my favorite parts of the evening were the solos performed by Houxuan Song and Sihan Ma, this is where their voices really shined. We also got to hear performances from some of our local talent, the Cantabilettes and sisters Sydney and Amelia Harvey. To top things off, at the end all of the singers came together and performed some Canadian folksongs, it was a wonderful way to end the evening. The Bach Music Festival presents a full Festival every other year – the next scheduled July 12-19, 2015. LIKE them on Facebook to receive information on their annual events and activities. The Bach Music Festival of Canada held great concerts all last week in Exeter. It featured a classical music concert each night, as well as free noon-hour concerts. I went to the Tuesday night concert where “Capella Intima” performed and presented their programme “Celestial Sirens: Music of the Benedictine Nuns of Milan”. The evening featured sopranos Emily Klassen and Erin Bardua, alto Jennifer Enns Modolo, tenor Bud Roach, and portative organist Erika Reiman. 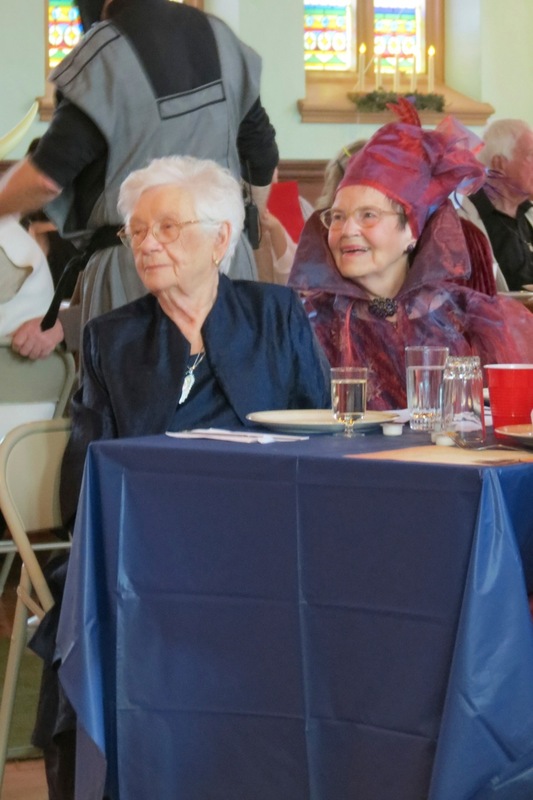 The concert featured vocal chamber music of the 17th century and included readings that detailed the controversial music during this time period. The Benedictine nuns were a major source of music in Italy in the 17th century as forty percent of young girls were sent into convents in the country. The nuns attracted many fans to their music and the church leaders struggled with their fame and the necessity of living a reclusive life. This type of music has only come to light in recent years, as more people are gaining interest in historically informed performances. It was definitely a unique opportunity to hear this rarely heard music. I can tell you that these four singers are very talented and it was amazing to hear how they can reach such high notes and create beautiful harmonies. One of my favourite pieces of the night was “Regina Caeli” which starts out with two singers singing in echo but then join together to change into a harmony. Each evening concert featured a reception in “Johann’s Pub” under the big white tent next to the Trivitt Memorial Anglican Church, where the majority of concerts were held. To hear some of Capella Intima, visit the audio page of their website. 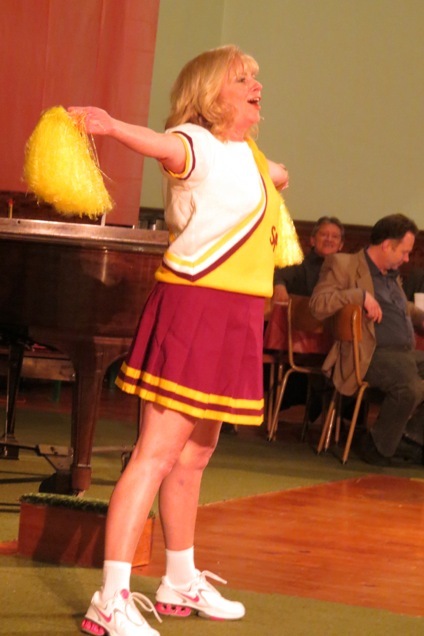 I wasn’t able to take photos during the performance, but you can view these photos by Karen Brown. 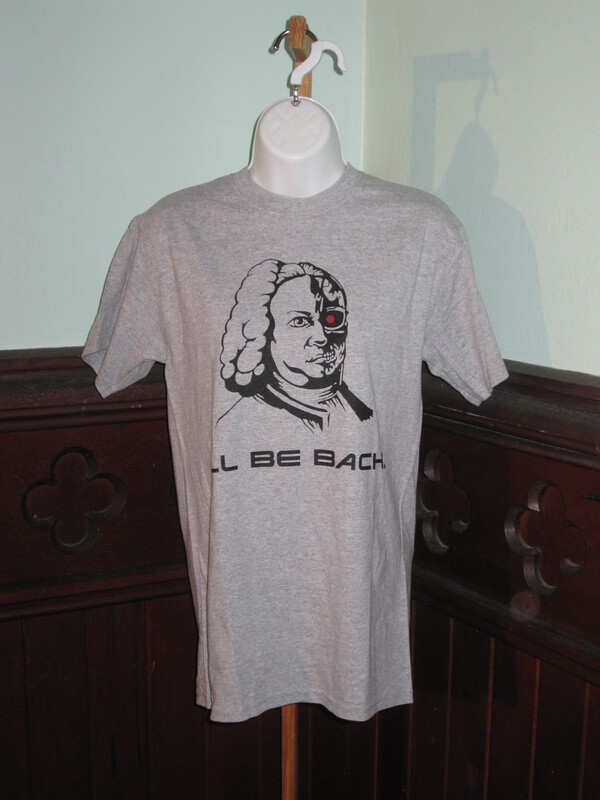 All of this years concerts are over, but the Bach Festival of Canada will be “bach” in July 2014! “Crown of Thorns” quilt from the 1940’s. The pattern symbolizes the cross with the crown of thorns from the crucifixion. Jane Egan, owner of Galt House Antiques in Goderich, said she purchased the quilt as the colours attracted her. 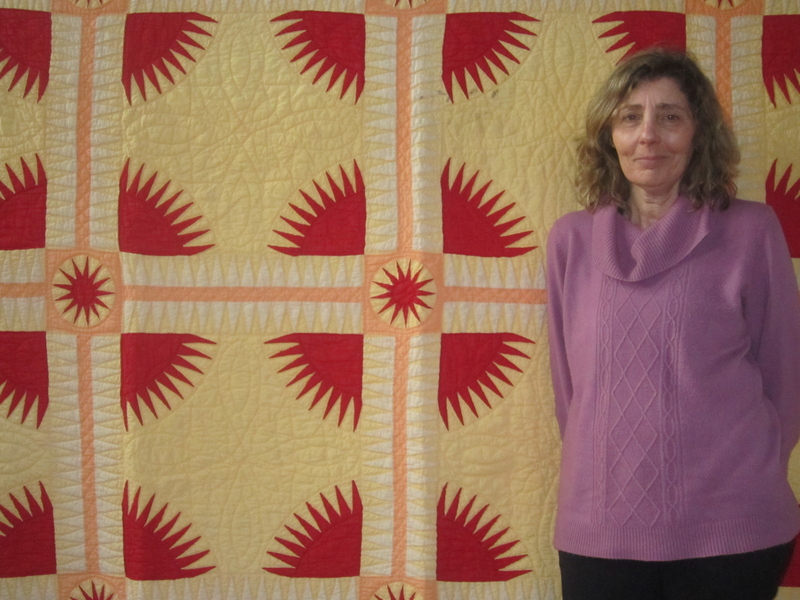 “Yellow, orange, and red don’t usually work together, but in this quilt they do because of it’s graphic appeal and unusual pattern” says Jane. The Heritage Quilt Exhibit in support of the Bach Music Festival of Canada is returning this year! Starting this Thursday, April 11thuntil Saturday, April 13th, quilts will be on display at the Trivitt Memorial Anglican Church at 264 Main Street in Exeter. This year features the collection of Jane Egan, owner of Galt House Antiques in Goderich, with fifteen of Ms. Egan’s prized quilts on display along with hundreds of examples of early stitching work from private collectors. Besides the collection of Ms. Egan, the Heritage Quilt Exhibit will also showcase heirloom needlework with hooked rugs and christening dresses. An avid collector, Margot Kearney from London will display some of her selected favourites. A tea room, merchant mall and quilt appraisals will be available throughout the three days. The tea room offers homemade pies, cookies, and muffins as well as chili, soup, salads, and sandwiches. Stop in for lunch and get a reasonably-priced Bach Lunch Combo special! Admission is $6.00. 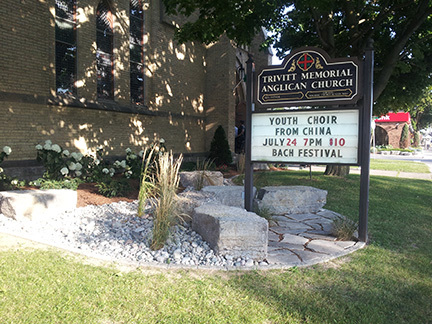 Funds raised support the Bach Music Festival of Canada being held in Exeter on July 14-20, 2013. I will be checking out the Quilt Exhibit later this week. Watch for a blog post about my visit! 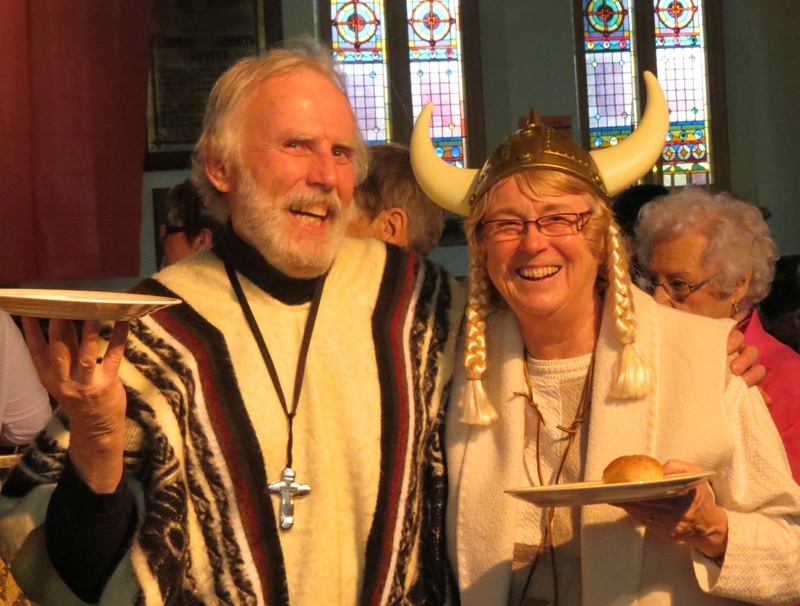 Saturday evening the Bach Music Festival of Canada held a fund-raising Medieval Feast at Trivitt Memorial Anglican Church in Exeter. Many people wore costumes, many of which were elaborate, all of which added greatly to the spirit of the evening. 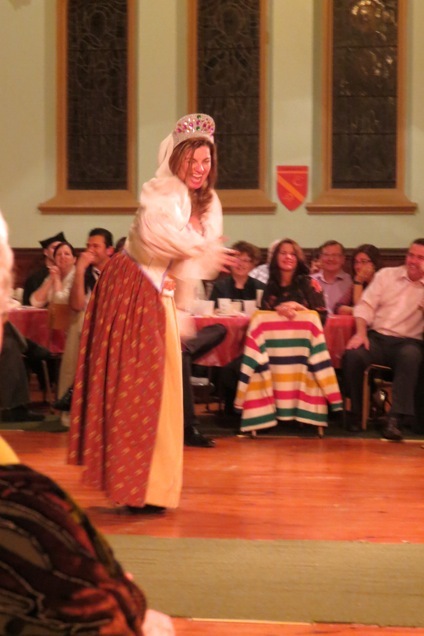 King Gerald (Fagan) and Queen Marlene (Fagan) and their children provided entertainment, mostly on a musical theme. The church was filled with laughter and singing. 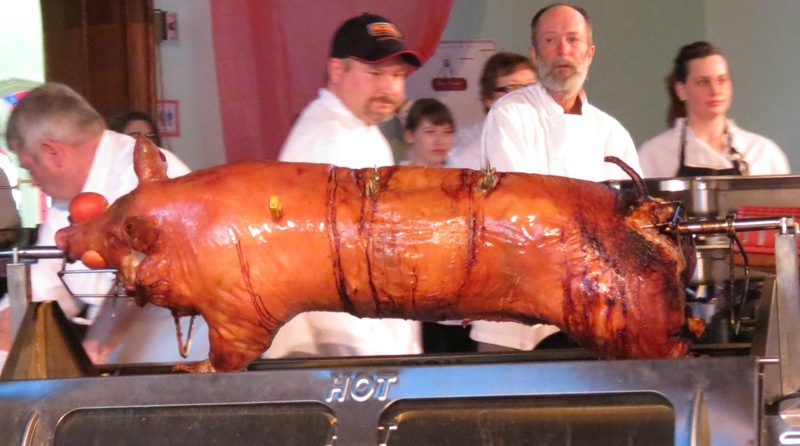 The roasted pig was a great success and cameras were clicking as guests enjoyed the spectacle. There were compliments all around for the catering service from Personal Chef Devin Tabor of Bon Vivant. Excellent was the word I heard used most regarding the feast . The silent auction proved popular and certainly aided in the fund raiser for the Bach Music Festival in July. It will be a night not soon forgotten.